AI has become the new buzzword in Retail. Whichever retail conference you attend or retail trade magazine you flick through, AI is everywhere. It seems that AI is the solution for any challenges that retail faces today. Actually, a lot of the time, folks just mean advanced analytics not AI. 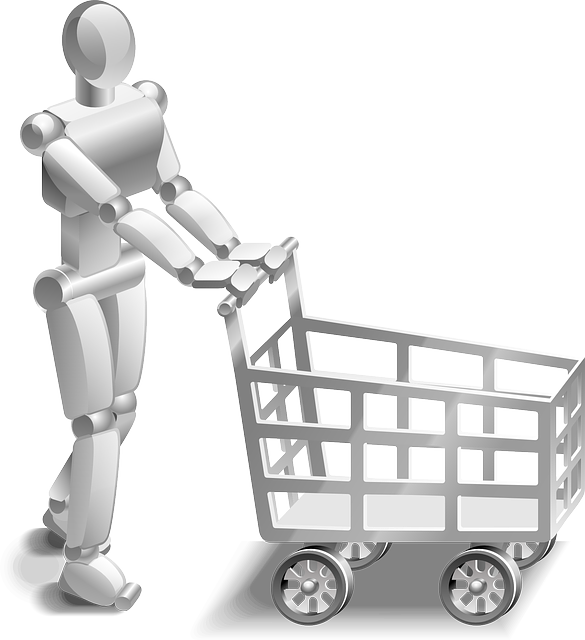 And advanced analytics, and analytics tools are finally realising their promise in retail. In reality, the application of AI in retail is much more nuanced than what it is thought or perceived to be. For example, if the objective is increasing “efficiency”, e.g. labour optimisation, sales forecasting etc. it is highly unlikely that a retailer will gain long-term competitive advantage by using AI. It is likely to be more short-term gains in efficiency, which all retailers need to adopt anyhow. Consequently, for these kinds of “use cases” for AI, it is not worthwhile for the retailer to invest in developing their own AI solutions. It might make more sense for a retailer to subscribe to a multi-client vendor solution. AI vendors are already developing multi-client retail solutions covering sales and CRM applications, customer recommendation engines, logistics and delivery, and payment services. AI is relatively new in retail and is often found in pilots and proofs of concept. These initiatives are often led by functional leaders (e.g. HR, Supply Chain, Marketing) signing up outside vendors rather than being driven by the CIO, Head of Analytics or other senior personnel in the retailer’s existing analytics or technology functions. Because the components of AI systems exist in many functions, many individuals stake a claim on AI (e.g. data analytics, CIO, business functions etc.). Our research clearly highlights that AI is a broad stretch across disparate topics, which prohibits a Chief AI Officer to be credible across all possible applications. The question of how to organise around AI depends on the maturity of the business. In the early stages of AI maturity, business function leaders drive their own use cases. This entails that AI is close to the benefit cases proposed to company boards. However, with time (just like with advanced analytics) there will likely be a duplication of skillsets across multiple units. Our prediction is that in the medium term, future AI initiatives will reach such a critical mass that it will become imperative to organise around a hub-and-spoke model – a centralised AI team serving multiple business functions with local commercial expertise close to the application. Overall we see retail as an industry, which is likely to be significantly impacted by AI. But it is an expensive arms race. Retailers would need to choose where AI is just table stakes and they can do minimum investment in off the shelf solutions, and where can they double down and bet big. These would be when they think developing their own bespoke AI solution is worth the investment to create significant and sustainable competitive advantage. Retail leaders need to educate themselves about the power of advanced analytics that drive AI. AI systems and the advanced analytics that power them are data hungry. To be an AI winner, you first need to build your data infrastructure. Building a strong data foundation is a necessary first step while building AI capabilities. Sainsbury’s, a supermarket chain in the UK, has invested heavily in big data infrastructure and data management. The lack of right data can be a significant barrier to business adoption of AI. One of the most important steps while enabling AI is for retail executives to understand the amount and nature data already existing in their organisations. Retailers investing in AI are seeking to enrich their own data by buying – or partnering – to obtain additional data sets. This increased value of data will result in even more intense competition to acquire it. In turn, this will solidify the role of large technology companies like Amazon, Apple, Alphabet, Facebook and others as harvesters and providers of data services. Taking it one step further, data partnerships will become commonplace as harvesting of data requires reach and infrastructure, which is prohibitively expensive for small or industry-focused companies. However, in OC&C Let’s Get Real About AI research, retailers repeatedly highlighted that using only external resources to create AI capabilities is less successful compared to when AI is built on a foundation of existing analytics capabilities. Will AI lead to loss of jobs? In retail, the chances are very high. More importantly it will lead to changes in job definitions and part functions or responsibilities of some jobs will be lost. Retail employees based both in-store and in corporate offices will see their role descriptions pulled apart and reconstituted. This will result in employees having a proportion of their job roles taken over by AI with new responsibilities assigned to them. Expectedly, with the changes in job descriptions, new teams will emerge in retail businesses with altogether different roles and responsibilities. The biggest challenge posed by AI (if it is actually impactful) will be the questions raised on retail organisational design and decision-making powers of executives. One executive from a respected retailer recently told us that their AI tools could take an integrated view of pricing, range, promo, marketing, forecasting and inventory management. The “brain” of AI can ask whether it is more beneficial to invest in pricing or promotion. Alternately it might ask whether it is more optimal to reduce marketing spend and spend more on quality control. It can come up with multiple scenarios of buying volumes and can suggest integrating forecasting into pricing and range decisions. But who takes all these decisions now? Currently in retail organisations these decisions sit within different teams headed by different executive groups. AI’s impact is not going to be limited to redefining job specifications, but also organisational level decision-making. And what happens to the laggards, those frozen in time like blacksmiths on the M25?